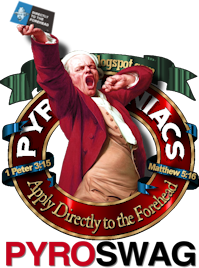 Pyromaniacs: Pyro brain trust forum: what Bible version, and why? I use the ESV. A typical example of my reasoning is found in this post: http://www.chrisbrauns.com/2007/08/13/esv-vs-niv-in-philemon-22/ . Our church had NIV pew Bibles when I came and I have gradually made the switch to the ESV. So from my end, the ESV is preferable to the NIV. Full disclosure - - - Dan, your Hebrews skills are so far ahead of mine, I can't even see you. I know this to be the case from reading your books. When I came to CRBC, the Bible used in the pulpit was the NKJV. That was the Bible used in our planting church (of which I was a member.) As our plant was still relatively small and in a growth phase, and as my ministry was new, I felt it was an ideal time to review the issue of Bible translation. I wound up choosing to preach from the ESV. Most of our people have now acquired ESVs, and now that we have our own building we have ESV pew Bibles. The ESV is now our Bible, and I don't think I have sufficient reason to impose the cost on everyone to make another change so soon. That said, the ESV is less and less palatable to me as I read it. Haha, THIS thread got a one-star. Someone should do a documentary on those people. Nah, TC, it's not a derail. When a version has twin marginal notes for textual matters (majority and eclectic), and when that version's notes in Revelation say that the in-text rendering is supported by neither of those Greek texts — you know something is seriously wrong with the philosophy of translation. One of the problems of having so many translations is that we all become critics of our translations. Over time we develop pet peeves regarding whatever we are reading. Personally, I open every new ESV to Romans 3:20 to scratch out the words "human being" and scribble in the word "flesh." Until I have done that, I can't feel comfortable with a copy of my Bible! I mean, honestly! "Human Being"! When the word "flesh" is freighted with so much theological value in the New Testament. I'm glad that I cannot hear their reasoning for this idiotic decision; I'm sure I would once and for all lose all confidence in the ESV and we would have to make the investment in new pew Bibles. Ironically, my main complaint against the ESV is its readability. It is understandable in exactly the way that a technical manual is understandable. I actually think we have gone too far in the direction of precision, if that won't get me attacked. We have politically correct publishers out there who mess with the text to support their customer base, and the conservative Christian world responds with, "We must be precise in our translation." The problem is, of course, that the Bible is beautiful literature, and to translate it with wooden precision is ultimately damaging to the text. Here's an example. In Genesis 37, Joseph's brothers attack him, throw him in a pit to die, then pull him out and sell him as a slave. Too cover this brutal behavior, they take his distinctive coat and dip it in goat's blood, then return it to their father. They seem almost unwilling to tell the lie, but ask Jacob to draw his own conclusions. It is a powerful moment in the story: the brothers (who are wicked but not without love and respect for their father) are halting and careful in their approach, but determined to cover their sin. Jacob himself is about to have his world turned upside down by a deception surpassing that which he perpetrated on his own father. The critical words come in Genesis 37:32. Here it is in the old language of the KJV: And they sent the coat of many colours, and they brought it to their father; and said, This have we found: know now whether it be thy son's coat or no. That's perhaps a touch archaic, but the dignified and moving language fits the moment. Here's the same thing in the NIV (unchanged since 1984): They took the ornamented robe back to their father and said, “We found this. Examine it to see whether it is your son’s robe.” It has lost something, but it's hard to say what. Here's the NASB: and they sent the varicolored tunic and brought it to their father and said, “We found this; please [a]examine it to see whether it is your son’s tunic or not.” "Varicolored"? Really OK, honestly, that's why no one uses the NASB. And now, here's the simply awful rendering of the ESV: And they sent the robe of many colors and brought it to their father and said, “This we have found; please identify whether it is your son's robe or not.” I'm sorry, but I just cannot bring myself to read that in anything but a robotic tone. Every time I look at it I hear the Star Trek (TOS) computer saying, "Please identify," while its mechanical brain clicks and whirs in the background. And that's my point, who tells stories that way? Certainly not Moses. Oddly, my favorite modern rendering of this is the compromised (as you pointed out) NKJV: Then they sent the tunic of many colors, and they brought it to their father and said, “We have found this. Do you know whether it is your son’s tunic or not?” That's not as formal as the old KJV, but the language works. That's what drives me crazy about the NKJV. It coulda been a contenda. In some passages, it is superior to others. But that textual tomfoolery is a deal-killer. Churchgoer: "So, pastor, you're saying that the wording of the text is actually supported by NO Greek manuscripts?" My opinion, FWIW, is that readability with textual concordance are the reasons I use the ESV -- but I say that only to offer the same complaint as Chantry: there needs to be a second round of people who read English well to go over the ESV and simply take the translators to task for making the Bible sound like MacinTalkPro English Bruce. Being a faithful translation does not mean it has to be a failure at bring the full force of the text to the receiving language. And that said, here's the place the whole thread goes to pot: because I am not a reader of the Greek or Hebrew, I need the translator's notes. I need to know what was going through their dusty Grad Student back-stacks minds when they rendered a certain text they way they did. And for that, the best Bible by far is the NET Bible. The translation itself is probably just as nearly-inerrant as the NIV, but the notes take you through the translating committee's perceived choices so you understand what they were trying to accomplish. This is especially useful for the most difficult passages in Scripture. However, to let no good deed go unpunished, the problem with the NET Bible is that those notes are ABOUT 70% complete! ARGH! The church I serve has used NASB for many years, but in the past three to four years, we have seen fewer members utilizing this translation (and fewer visitors who possess a NASB compared to other versions). The ESV is growing in popularity among our people, partly for its readability and partly, on behalf of our teachers, for its use from Crossway, which produces discipleship material that our teachers find helpful. We are in a season of re-evaluation and our two contenders are ESV and The NET Bible. The NET Bible's pro's would be the online accessibility to the text, its original languages, open knowledge of interpretive decisions, and article database. As a pastor who ministers through writing materials for the church, they also grant us permission to use any and all of the text without copyright violation provided our resources remain ministry-centered and free of profit. We have struggled to gain similar permissions from other publishers. The downsides of The NET would be its lack of wide usage in print among our members at this time (compared to the wide circulation of ESV Bibles in our people's homes), and the sometimes painfully obvious attempt to read differently so as to avoid copyright infringement from other publishers, which affects readability. As a pastor, my heart is geared toward helping people take their first and second steps without being encumbered with the world that is textual criticism and linguistics. However, as a doing-the-best-I-can theologian, my heart is also set on helping people see the data that leads to interpretive decisions (especially for our teachers or teachers-in-training). The NET notes are always interesting and often very informative. I would never, ever recommend the translation, however. And I phrase myself carefully about the notes: "interesting" and "informative," but not necessarily correct or persuasive. It would be awesome of some major translation had the fullness and transparency of the NET footnotes. But not the NET. Nyet on NET. 1. No translation will ever perfectly merge the need for fidelity to the letter of the text with the need to convey the spirit of the text as well. Different Bibles do different things. 2. The days are gone when people are perplexed by a pastor reading from a different version than they have in front of them. Everyone knows that there are many translations. We don't have to avoid that fact, and we may as well be open in the pulpit about translational difficulties. (At this point, if the translation is wrong, I simply read a corrected translation and then explain while preaching. For instance, in Romans 3:20 I would read, "For by works of the law no flesh will be justified in his sight, since through the law comes knowledge of sin." Then, when I come to it in the sermon, I would simply say, "I have no idea why they translated it that way, the word is "flesh" and here's why it was important. 3. Given that fact, I am less and less worried about making the "right" decision about a pulpit Bible. I'm thinking that if I have it to do over again, or - in a few more years - when I have it to do over again, I might just decide that I have three or four answers to the question, "Which is the best Bible version?" For all the reasons stated here we have ESV in our church. I would be tempted to switch to the HCSB had we not just (within the last year and a half) switched to ESV...simply because of the accurate rendering of John 3:16 - For God loved the world in this way: He gave His One and Only Son, so that everyone who believes in Him will not perish but have eternal life. Is there even a good, thorough, up-to-date book on modern versions anymore? Comparing, contrasting, critiquing? My chucklesome thought is that perhaps we should do what some suggested doing about hymnals in a recent Facebook thread: have the main hymnal, and a second supplement with it in the racks. Hence, two pew-Bibles. What I did in my younger days was just to include my own translation in the sermon outline. Called the DPUV (Dan Phillips Unauthorized Version). I think Gail Riplinger has one or two out. I've had two-year-olds like you. For the first 20 years of my Christian faith I read and studied from the NASB (original and revised). I chose that translation because, well, that was the version my pastor taught from. I moved to the ESV for the same reason. May I throw a fly in the ointment? Maybe even make a move consistent with a drive-by or a hit & run. I LOATHE (untoward all caps dramatics) the NLT. That the word "translation" is used in the same breath or sentence with the initials "NLT" is a disservice to legitimate Bible translations everywhere. I once did a side-by-side comparison of Romans 8, with the NASB, NIV, KJV, NKJV, NLT, and the Greek text. The first for tranlsations were almost identical. Those who "translated" the NLT must have been using the yet to be publicized "Dan Brown" family of manuscripts. The translation of the chapter, as a whole, wasn't even close to the legitimate Greek manuscripts. May the owners of this blog forgive me is I have driven my finger too far into the eye of anyone. I was at Piper's church for a conference when they were switching from NIV to ESV a few years back, and I suppose that the thought that hit me was, they were something before NIV, so they are at three versions in as many decades. It just seems that the lack of continuity can wear on members who don't have the language or study skills to sort it all out. I'm not sure we do our members much good when the sanctifying agent that the Holy Spirit uses in their lives is switched on them every decade and it becomes impossible to do what we used to do, which is memorize the Word in order to meditate. Please forgive the typos in my last comment. HCSB? Really? I was stunned when they handed it out at T4G this year. I can't read it. NLT may be N, and debatably L, but it is no T. It's just as much a paraphrase as the original LB; the only difference is that the translators may have looked at the original text more than Taylor did before paraphrasing. Last year when Logos/SBL put out a free critical Greek NT (same concept as the free NET but in the Greek), Dr Robinson's text was one of the 4 primary texts used in the apparatus, mostly to say "Oh we agree with UBS and completely disagree with Robinson here". In public speaking, I believe Dr. Robinson uses the NKJV most often but wishes there was a better updated translation (he would do it but has no energy to become a translator on top of being a text critic); I think the World English Bible (WEB) is the majority-text counterpoint to the NET, but it is even a worse translation in other areas. That said, I have made good use of the ESV and wished they held more consistently to their stated translation philosophy. I think Frank nails it in that concordance is an undervalued part of translation - concepts were used by the original authors, yes, but specific words were used to express those concepts. We can argue about where certain concepts appear, but there is less argument about where words appear. It was coincidence that the church I became a member of after moving to a new city also uses ESV, though it has strong correlation to their heavy emphasis on bible teaching and exposition. My 'home' church used a mixture of NKJV and NIV. If I had it to do over again, I would preach from the NKJV, and I would simultaneously tell everyone in the church not to read from the NKJV. Here's my reasoning: Anything I preach will be studied in the original languages. If there is a problem - textual or translational - with our version, I'll be fixing it in the sermon, and that's going to happen with any translation. What I can't fix is the tone which is set for the sermon by the Scripture reading. If one of the Parables of Jesus comes off sounding like an Ikea assembly manual, there's not much I can do with that from the pulpit. So why not preach from a Bible that almost always gets the tone right? On the other hand, the Christian who does not read the original languages needs the Word of God in the most accurate translation possible - even at the cost of tone. Why does that have to be the pulpit Bible? Why can't the church have a list of "recommended" translations - NASB, ESV, maybe Holman (I haven't read that all the way through yet, so I don't know). We could even keep a few lending copies on hand so that a person could do some reading and determine what level of accuracy/readability works for him before he goes out and purchases something for his personal devotions. OK, it's crazy and I know it. Tear it down, Dan. The book I bought to start looking into this is "How to Choose a Bible Version" by Robert L Thomas. I don't know if it what you are looking for, but it has helped me think about the issues. I haven't really reached any conclusion, yet, but it has been interesting. Stephen, I think you misunderstand me. I don't dislike NKJV for its not using the eclectic text exclusively, per se. I dislike it because it includes, in the text, renderings supported by NO Greek edition of the NT. For instance, the NKJV Rev. 22:1 has "And he showed me a pure river of water of life, clear as crystal, proceeding from the throne of God and of the Lamb." Check the margin, and you see the note "NU-Text and M-Text omit [pure]." So if neither edition has the word, why is it in the text? On what support? I was a little surprised that Dan doesn't like the NIV. In a nutshell, what's the issue with it? Our church is reading through The Daily Bible this year and it is only available NIV. Does it get some major things wrong, or is ti just that some people don't consider it to be very understandable? NIV: No one will ever convince me that there is one valid reason for changing singulars to plurals, as the new NIV does. It does it less than the TNIV did, but it is still an execrable practice driven by cultural faddishness and nothing else, no matter what apologists say. It is purely ideologically driven, and it obscures rather than unveils the text. All explanations are rationalizations. BTW, there are other reasons, but that - as a regular, conscious practice - is pretty much a deal-killer for me. Now to my real job. Y'all behave. Oh good, Dan's gone; now we can talk about "The Message." Oh I do care for the trumpeter, who has instructed and corrected me on many a score, over the years. As to the NIV, I didn't even know that it changes the plurality of words. I will have to google that to see some examples. The Message? That was written by a guy whose last name started with "P," if I recall. Phillips, I think it was! I like the NKJV for most of the Bible, but something else (HCSB, ESV) for Revelation. I wonder, what is the most "Calvinistic" Bible? Which one's translation choices most clearly teach the doctrines of grace? Although The Message is used commonly in congregations, Peterson stated his uneasiness with this in a Christianity Today interview:“When I'm in a congregation where somebody uses [The Message] in the Scripture reading, it makes me a little uneasy. I would never recommend it be used as saying, "Hear the Word of God from The Message." But it surprises me how many do. It's gotta be the NRSV. The way it translates Genesis 1:2, Psalm 2:12 and Acts 20:28 really strengthens the doctrine of the Trinity and the divinity of Christ in the mind of the believer. Hey DJP, why not an article on something that I heard recently, again: that for a Calvinist, the first and foremost working principle is the Sovereignty, or Glory, of God, but for the Lutheran, that principle is justification by faith in Christ and his blood, or, to put it more simply, Christ, and him crucified. The NRSV is HORRIBLE. Gender neutrality gone overboard. Fee and Straus have probably the best most current book on translations "How to Choose a Translation for All it's Worth"
I'd not even thought about how the NRSV no longer excludes women from the love of God. Thanks! The Message is kinda like The Soft-Pedaled Version (opposite of the Amplified Version). Sadly, our church doesn't have any pews or for that matter, Bibles in the pews. Everybody brings their own Bible. I've even seen people bring in their copy of the NWT. You're probably thinking of J.B. Phillips, who published an NT in the fifties, which I think some consider a paraphrase. I would just put iPads in all the pews loaded with all of them. I came to my new church, and they use NAS pew Bibles, so I preach from that. Most of the time. There are some places, like you pointed out, that the NAS is so bad is almost unusable, so on those weeks I just preached from the ESV (Isa 52:13-15 being the most egregious example so far in my preaching). I've been told I can preach from whatever translation I want to, and they will switch the pew Bibles if I make a change. I would switch to the CSB just for the use of Yahweh, slave, Messiah, but they are so inconsistent, it is not entirely helpful, and so few people use it that switching to it would be a big deal. I toyed with the NIV, but again, so few people have the new one, that it would be a big deal. The ESV I've found to be so burdonsome in some passages, but is probably my favorite overall, but I'm preaching through Mark and have found several areas, one of which you noted, where it just doesn't work. I completely agree with you about the NKJV...so close, but so far. So now I find myself, back in the NAS simply because it is what was here when I got here. I currently and teach from the ESV because that is what Tony Miano reads, and I love that guy, typos or no typos. I was saved while reading the "execrable TNIV," and I am grateful to God for that. I love the KJV for an unknown reason; but it keeps pulling me back like a homemade ice cream shop in a small town. You would think that now that DJP is in Houston he'd be a fan of the Texas Receptus. Only I think down there they call it the "Texas: Respect-Us." All my Receptus live in Texas. So, how were all the Receptii Received? By Textus message? "In Israel there were no cell phones, each man did as he saw fit, and without constant interruption..."
I know Dan wanted only pastors to post here, but the last few comments about my home state and the lack of cell phones in Israel are too funny! Thanks for a good laugh in cubeville. Since no translation seems to "get everything right" does it truly matter so long as they are from the "okay" (read: generally accepted) list? We throw out translations based on a few pet peeves but truth be told (and it should be told) is that our brothers and sisters in Christ in far off lands (read: China, 10-40 window, etc) just might be saddened at our persnicketiness. They’d be happy to get a copy of any translation they could read. I personally know missionaries in Chad who are translating the Scriptures into the native tongue of the Kwong. Will they get everything right, doubtful. Will their efforts be blessed, most assuredly. I’m not trying to throw a wet blanket, but put things in perspective. List “the good” ones, list “the don’t use” ones, and give Him the glory for preserving his word and allowing us to read it in our language (without the use of tongues). Don't forget the slave issue and that the new ESV has chosen, for modern sensibilities, to change all instances of slave to bondservant. So, because other lands have inadequate access to the Bible... we shouldn't care about accuracy? Here's some insight from my Spanish Speaking church. Everyone has the Reina Valera 1960. Pretty much similar to the NKJV. The Reina Valera 1960 is the most popular version in the Spanish speaking world! Problem is there are still many archaic expressions. I've tried to get my folks to adopt the LBLA (La Biblia de las Americas). It's very readable but sometimes the verses (sentences) actually get so long you really have to diagram them in order to understand the flow of argument. Lately I've been trying to use the NIV. However, there are just too many coloquial expressions. Honestly my first impression is that it's a very dumbed down version that cannot compare to the prose in the Reina Valera. I know that the Trinitarian Bible Society is doing a revision of a TR faithful Spanish Bible. Lots of my folks are looking forward to it. Not me...because of the TR. Anyway...we'll see what happens. I also know that Biblica is updating the Spanish NIV. Hopefully they remove lots of the coloquial expressions. idioms in one language are often, if not usually, unique to that language. In Matthew 1.18, the KJV says that Mary was ‘with child’; the NET says she was ‘pregnant.’ But the Greek idiom says, literally, that she was ‘having [it] in the belly’! Every woman who has ever been pregnant knows what that is like! Very graphic, but not particularly appropriate for a translation. Ironically, the most literal translation is probably the worst translation because it fails to communicate the Greek or Hebrew into acceptable English, misleading the reader. Everyone, look up at the post, remember what it was about, return to answering the question, please. Sorry for the confusion. Accuracy is crucially important. My personal list (NASB, ESV, NKJV, and NIV84 in order) is based on accuracy/fidelity and readability. Each brings something to the table. Each also has translational issues, we just choose our issues to “live with.” But what I often fail to do is give thanks to Him for giving us learned men/boards that make these translations possible (1 Thess 5:18). We live in a country and a time where owning a Bible does not result in persecution or death. Other brothers and sisters don’t have choices, they have a single translation that I’m sure the Holy Spirit can use for furtherance of the kingdom despite, and this is an assumption on my part, more “translational issues” than most. Wasn’t trying to stir the pot; just trying to remind myself out loud to give thanks for His great grace even down to “what version” should I choose. All good thoughts, Bill. But (I write with a friendly smile) when you're trying to pick the best English version for your church, it doesn't actually help a lot to say "Oh well, if we were in China we'd just be lucky to have even a bad Bible translation! And if we were in Boogooland we'd just be bonking ourselves with tree limbs!" Yeah but there are more miracles in Boogooland because they expect them to happen. I know it's true because a friend of a missionary's barber told me. Same applies to the little known country of Pie-Romania. My favorite translation is still the NASB, only because it is still one of the most literal out there. My Pastor has NAS in the Pew, and also reads a lot of King James, since we are REC, and still use the Book of Common Prayer. And he also uses ESV. What are y'alls thoughts on the Holman (is it HCSB?)? I am reading through it the first time in my QT, and it seems like a super translation, although I sometimes see it is not perfect. As good or better than anything else out there it seems to me. 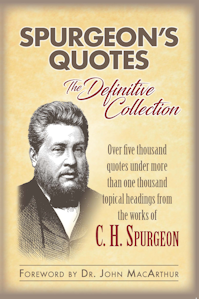 Spurgeon said, "There are some passages in the present translation that are so dark, that no man can understand them without an explanation," and also said, "Let us quote the words as they stand in the best possible translation, and it will be better still if we know the original, and can tell if our version fails to give the sense," and then also said, "The men are not yet born who will give us a better rendering either of the Old or the New Testament than is to be found in our old English Bibles, and it is my belief that they never will be born." I guess I'm outed. Speaking from the pews as an average church member in small town America, please find a translation and stick to it. I now have three or four translations from which I have memorized verses. Please stick to one and stay there for my poor muddled mind. I know that translations change and the "WORLD"S BEST TRANSLATION!!!" could go south with the change of calendar, but please dig your heels in and stick to one. That said, I vote ESV. I find it easy to read. And for what it's worth, I haven't picked up a pew Bible in years. All digital for me. But I am loyal to read what my pastor preaches from. Dan, I think Brett made a few good comments, and perhaps you could do a second part hearing from church members only, so that we as pastors can get a better perspective from their point of view on the issue. I have read, studied and taught from the NASB95 for the last 7 years. 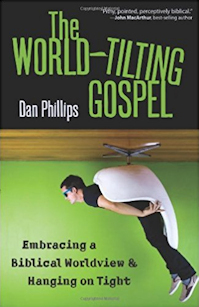 I was saved 8 years ago and read the NLT2004 almost all the way through initially. A few years ago we were given a free ESV at the Shepherds Conference. I left it lay around and later got a JM ESV Study Bible. I was doing a study a few years ago on Divorce and Remarriage when I ran into a mistranslation of Virgin(parthenos)1Cor7:25,28,34,36-38. They had no problem in Matt 1:23;25:1,7,11 or Luke 1:27, Rev 14:4, 2Cor 11:2. I am not the only one who has seen this before but I have not ever heard an explanation for it. I looked into the main translators doctrine a little and saw that one of them held to a no divorce/remarriage view. I guess if you want to believe that the virgin and the unmarried are one person and the virgin and the widow are one person, then you may want to translate a clear Greek word like that one way where it does not matter much and differently where it does. My ESV is a door stop. Just a layman, but you might have noticed the faint glow of me in the pews... I carry a tablet and use mysword to read in parallel as many translations as I see the need for... I start to see more and more congregants bring tablets instead of their physical books. Right now, I can compare 55 versions if need be. I am not a pastor, but I have kept up with my Greek and Hebrew. I am a strong NASB person though I admit to ignorance of the ESV. My big problem with the NIV is not the inclusive language but the games it plays in the Old Testament with the names of God. You need a decoder ring (or a knowledge of Hebrew)to tell what they really mean. I did a little reading yesterday on the NIV and the changing of singulars to plurals and that sort of thing. One thing they seemed to note was that the English of the King James era had a plural form of "you" similar to "y'all," but modern English does not (I think it was "ye" for plural and "thee" for singular, but could be wrong). Am I understanding that ocrrectly? If so, then it would seem to be an argument for the KJV in terms of clarity. Would appreciate any insight on whether I got that right or not, from the erudite people who read the fire-nut blog! As an aside - and yes, from a layman - I'm actually looking forward to the NDPUV. In reading through ProvDJP, and seeing your renditions of OT texts (along with reasoning and notes), I'm becoming spoiled to the DJP Version. Seriously, have you considered being on a translation committee? The kind of translation philosophy that come through in these snippets makes me look forward to more, if for nothing else than to have Yahweh flood the pages of the OT! Unrelated, Nash. TNIV/NIV changes crystal-clear singulars into plurals so as not to say "he," because that makes feminists mad. They'll insist that's not the motivation, and they'll never convince me. For instance at random, Prov 25:17 in NAS: "Let your foot rarely be in your neighbor's house, Lest he become weary of you and hate you." Same verse, NIV: "Seldom set foot in your neighbor's house-- too much of you, and they will hate you." Note, "neighbor's house" (house belonging to A neighbor), "they will hate" (what "they"?). The point is not whether the changing of a singular into a plural has a deep impact on this (or any other) verse. The point is that it is not in the original, and there is no need to insert a plural that is not motivated by an ideology hostile to the Bible — however unintentionally so. Thanks Dan. That is helpful as usual. I wouldn't be too surprised that feminist or other "let's not offend anyone" thinking sneaks its way into Bible translation, especially since the committees used are probably populated with liberally-inclined PhD-types in certain cases. You have straightened my thinking out Biblically on a number of subjects, and I always seem to learn something useful from reading your posts. Thank you. (1) Holds the word as the unit of inspiration (word-for-word). When Jesus makes an argument based solely on a single verb tense of Scripture (Matthew 22:31-32), and Paul makes an argument based solely on one word of Scripture being singular versus plural (Galatians 3:16), I don't know how to get around that. 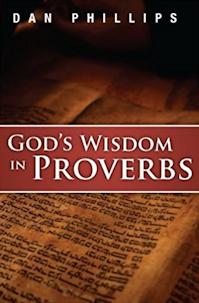 Most of the translations mentioned prominently so far, with the exception of the NIV, pass that test. (2) Holds to the concept of providential preservation, meaning that God did not leave His people without the best manuscripts for many centuries. It is more believable to me that God kept the best texts in use than that even the best and most godly scholars are able to determine which texts are "oldest and best." That knocks out NAS and ESV, though I consult those each week, since their renderings are excellent, helpful, and sometimes superior on the overwhelming majority of the instances where the underlying text isn't in question. As someone who has NOT had seminary training/Hebrew or Greek, I have tended to stick exclusively with the NASB when teaching, as (at least for many of us lay-folks who get charged with teaching now and then), we've always heard it's a word-for-word translation and of good repute (except with the KJV only crowd) (of whom I am shocked that they haven't chimed in yet) (please excuse all these brackets). I find it sad that translators just can't simply translate what the Hebrew and Greek say and mean. I realize that there are some things that might not be easy to express cleanly in English (I experience that often when helping Russian co-workers with English). But I think you could certainly get the correct meaning across without altering the text or the meaning - and that is my biggest fear as an ignoramus on the biblical languages. Someone slipping into a passage a meaning not intended by the writer. Some of these comments are cracking me up. Including, I say almost with shame, Frank's Texas Receptus gag. I was tempted to do a YouTube video of Willie singing "all my exes read the Textus" but I realized how very, very few would get the joke! Frank is a very witty man. Or at least half so. "I'm living by my wits"
"Oh well, half a living's better than none!" Before salvation I was given a military Good News Bible with stick figures. As an infant believer I started with the NIV for 3 years, then as a gift to attend Bible college my inlaws gave me a NKJ Ryrie study Bible, which I enjoyed for the same reasons you stated, but alas it was stolen while at school (I hope they enjoyed it as much as I did). I replaced it with an NIV study Bible but never felt confident with the translation and in my first senior pastorate and after much research I bought a KJV. I have preached from this version for 10 years and have enjoyed studying and preaching from it. Most of my flock use it as well but with new believers I can see where the old English is difficult to understand even for common English terms such as "holden" or "concupiscence", let alone doctrinal terms. I wish that Way of The Master would publish their Evidence Bible without the evidence material as an option since it is a "comfort-able" more common vernacular KJV. An excellent read. Stealing a Bible. Just... wow. 1.) It is the most literary of the "essentially literal" translations. 2.) It is the version our pastor preaches from and as a teacher of a 70 member adult Sunday School class, I think it wise to be consistent with the pastor. The problem with the NIV is that it is a commentary within the text, and the separation of that commentary from the text is not transparent. Does the ESV have questionable choices in translation? Of course it does as do all others. It is wise to keep in mind that just as an English word may have multiple definitions (or shades of meaning), so do Greek and Hebrew words. All that being said, I believe the ESV is the best choice. It is essential to know what Scripture says and not what some one says it says. In the military I would give out the NLT because the guys who read it seemed to really grasp the language. Entering the pastorate I went back and forth. I grew up in a church where you either read the NIV or the KJV. There was no controversy involved, but those were the options. I still have my old beat up NIV Study Bible and often use it, though not for preaching. While our pew bibles are KJV I have noted that most of the Bibles carried by members are NIV. I gave a lot of time to considering ESV, NASB and HCSB as well as the NKJV and finally settled on the ESV though recently I have switched to the NASB. I am not up on Greek and Hebrew, but the deciding factor for me was that my NASB puts question marked verses in the text in parentheses rather than in foot notes. Then I don't miss anything in my study. I am sure as I proceed with Greek and Hebrew studies in the coming years my understanding of translation will be flipped upside down. If you don't mind the amateur (lay person) perspective, I often find great edification and (prayerfully) a spiritually lead understanding by using both the NIV and the ESV side by side when studying scripture. My reading of Kevin DeYoung’s book taught me that the ESV is a word-for-word (largely literal) translation; while the NIV is a though-for-thought interpretation; both are of the original Hebrew and Greek. In a way, this ESV/NIV amalgamation (of a sort)creates a synergy of understanding for me when I consider the more literal words of the ESV against the NIV translator’s best guess as to the thoughts of the inspired author. By synergy, I mean that when I read several verses in the ESV, I mentally classify the text as being largely “the words” used in the original language. When the same verses are then read from the NIV; I remind myself I’m reading the NIV translation team’s best guess as to the thoughts and intentions of the inspired author. Using these ESV and NIV lenses together helps me to mentally create a third version (of sorts) in my mind. Always keeping in mind that contradiction is simply impossible. I'm not a pastor, nor am I at all familiar with the original tongues. My kids have been using the NKJV for their National Bible Bee memorization. They chose that version because that's what they had been learning in AWANA. It seems (to this layman) that it's a fairly decent translation. Much more faithful (in my estimation) than the NIV-84, and more readable than the NASB. I do wish they had made the switch to the ESV, since it seems less wordy than the NKJV and could probably be memorized easier. SBFA, that isn't a bad idea, and I've suggested similarly. Read the ESV as a translation, and the NIV as a commentary. I'd rather they call it the "NIT" (New International Targum). I'd love to be a fly on the wall when the instructions are given out to legitimate Greek experts at a new Bible translation launch meeting. "Okay, ladies and gentlemen, here we go. Remember to NOT make your translations correct. "Avoid outright heresy if you can, but throw a little Stephen King or, no, better yet John Grisham in there. He really resonates with those folks who really don't want to read their Bibles. "When deciding between 'flesh' and 'sin nature', use the latter. Nobody knows what 'flesh' means anyway. "And when God breathed 'man', we all know He really meant 'people', so don't get hung up on that ancient language that you've spent 40 years trying to learn the nuances of. "Greek schmeek. What we need is a best seller!" In the Primary for accurate translations, I vote NASB. But if it isn't nominated for the Accurate Party, I'll vote for anything to avoid the Obaminable new NIV in the final election. I wonder if there will be NIV-only people in existence 200 years from now? After all they'll have to have some archaic version to migrate to, once the KJV language is totally inaccessible. Doug Wilson actually preached a sermon on why he uses the KJV. I'd add a link or what not, but that is most certainly my husband's arena. (I think he'd be impressed I knew how to comment anyhow.) I believe you can look up Doug's sermons on canon wired press. And with care not to speak without authority, I do remember one of Doug's several reasons for his KJV choice; It is the only translation that was written under the church's authority. All "modern" translations were translated with input from well educated people, but without the direct oversight and authority of the church. (Hence all the screwy pronouns, word changings, bad idioms, etc.) Now...before someone starts lambasting Wilson, that is what I REMEMBER him saying, not, necessarily what he said verbatim, so if there is fault with the above statement, it is mine. Maybe one of you techie people can look up his sermon and link. The problem with Doug Wilson is not his fondness for KJV (a good, but not the ONLY good English Bible - see James White's discussion on this). The problem with Wilson is his heretical Federal Vision and belief in baptismal regeneration. Sorry, Dan, didn't mean to derail the conversation and bring out the haters. I thought Wilson's input was thoughtful and valuable. Manfred, I didn't pump "solo Wilson gloria," I simply thought he put forth a thorough argument for preaching from KJV. No need to step outside the realm of what Dan is asking for. I pastor a small isolated rural Baptist church of the independent (little i) variety. This area, and many in my church, has a long standing tradition of KJV-Onlyism so I use the KJV as a missionary would a Chinese Bible. Of course I do use other translations for other purposes as do many in the church. I also emphasize the importance of preaching the KJV instead of constantly preaching about the KJV. A fact lost on many good brethren in my neck of the woods. However, there is an increasing use of the ESV.